A Quadro 5000 is priced at around $2200. ATI’s FirePro V8800 can be seen as the pro version of the Radeon HD 5870. Both cards are based on the Cypress XT GPU with 1600 stream processors. A FirePro V8800 is priced at around $1500. Workstation Shootout: Nvidia Quadro 5000 Vs. ATI FirePro V8800. Keep in mind that the Quadro 5000 is based on a limited version of the GF100. 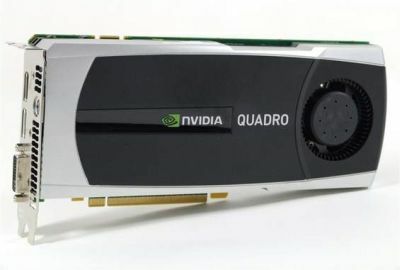 The flagship version is the Quadro 6000 with 448 CUDA cores. And according to the results of the test, the Quadro 5000 dominates the FirePro V8800. But it’s not really from a hardware point of view but rather from a driver point of view. NVIDIA Quadro graphics drivers are highly optimized while this is not the case with AMD ones… Still a story of drivers with AMD. Like Nvidia, AMD artificially hobbles its Radeon-class desktop cards through the driver, ensuring that only FirePro models will offer top performance in workstation scenarios. The image on the second comparison (V8800 and HD 5870) is repeated from the first one. @Lokavidu…i guess you get what you pay for..and that includes driver support. …if the quadro 5000 is running the GF100, it can probably be unlocked just like some of the 465 cards!